In what has become modernly an exceedingly rare circumstance, the US's highest lawmaking body today introduced a bill that would do something moderately useful: remove utterly useless FCC etchings from the back of electronics. The bill is known as the E-Label Act, and the bill was introduced by two US Senators, Deb Fischer and Jay Rockefeller. 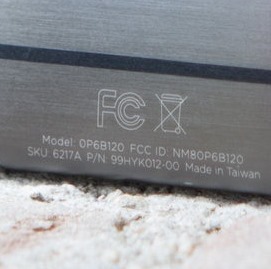 The act, as written, would allow manufacturers of goods requiring FCC certifications to "stamp" their FCC approval digitally, rather than physical etchings or markings on the product itself.